Ingredients: Aqua (water), oleyl alcohol, glycerin, argania spinosa (argan) kernel oil*, butyrospermum parkii (shea) butter*, squalane, cetearyl olivate, cetearyl alcohol, myristyl myristate, helianthus annuus (sunflower) seed oil, sorbitan olivate, alcohol, benzyl alcohol, fragaria ananassa (strawberry) seed oil, sodium benzoate, parfum (fragrance), anthemis nobilis (camomile) flower oil, cananga odorata (ylang ylang) flower oil, citrus limon (lemon) leaf/peel/stem oil, pelargonium graveolens (geranium) flower/leaf/stem extract, ribes nigrum (black currant) bud extract, rosa centifolia (rose) flower extract, sodium citrate, safflower oil/palm oil aminopropanediol esters, xanthan gum, salicylic acid, tocopherol, aloe barbadensis (aloe vera) leaf juice powder*, sodium hyaluronate, ethyl ferulate, onopordum acanthium (cotton thistle) flower/leaf/stem extract, polyglyceryl5 trioleate, sorbic acid, rosmarinus officinalis (rosemary) leaf extract, disodium uridine phosphate, limonene, geraniol, citronellol. 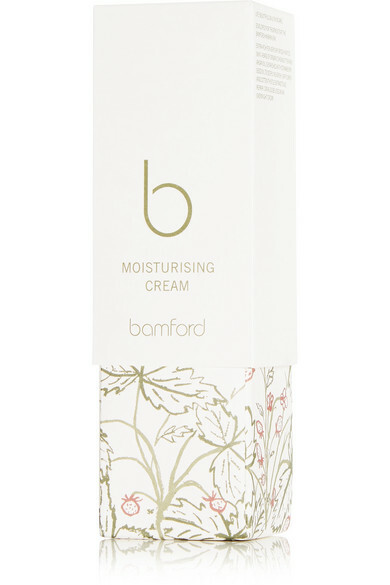 Bamford's deeply nourishing moisturizing cream is inspired by the natural ingredients grown at Daylesford farm. 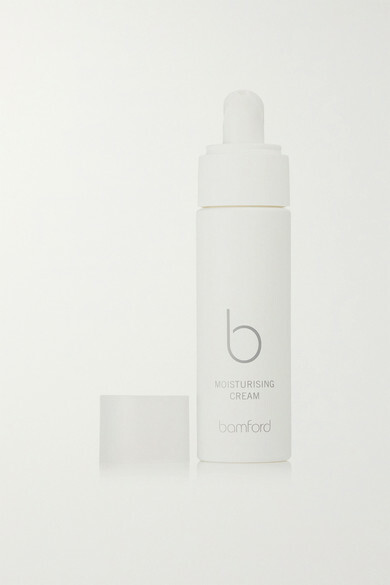 It's packed with intensely hydrating Strawberry Seed Oil that protects against environmental aggressors, and Cotton Thistle Flower Extract to repair damaged cells. You can also leave it on overnight for an extra boost.